Ahh I LOVE summer! Summer has been a drag the last two years with finishing up grad school at Columbia, so I am home and I am so so happy. Summer work hours have been the best. We have plenty of work to do before our teachers come back on August 10th, but the flexible hours are just wonderful. I’m working a lot, but I can run before work, I get out of the office and it’s still warm out at can hit up the pool, I’ve been going on coffee and lunch dates. 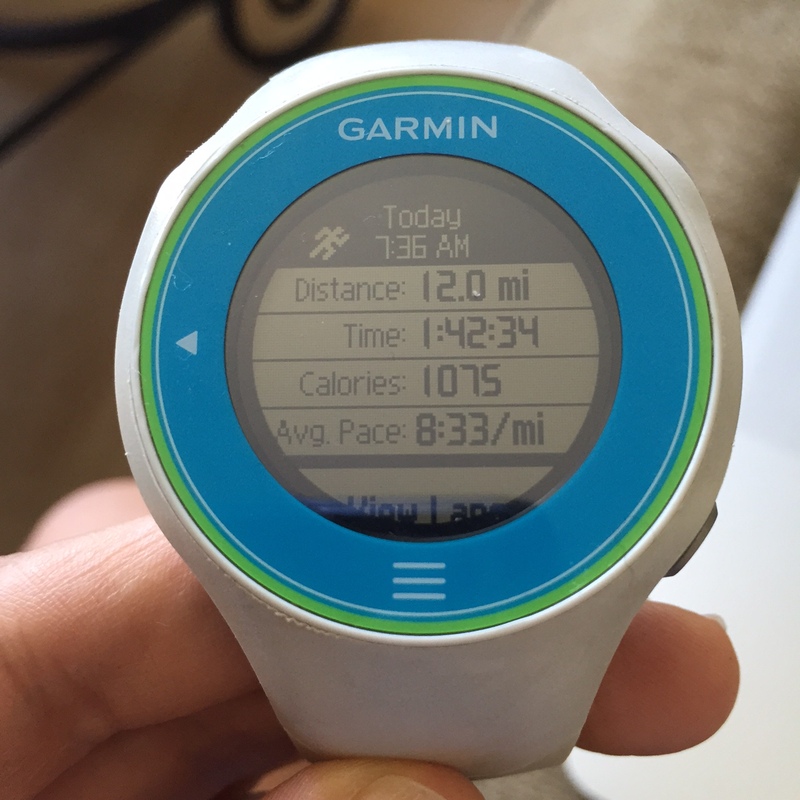 Life is GOOD, and my running is finally improving too. 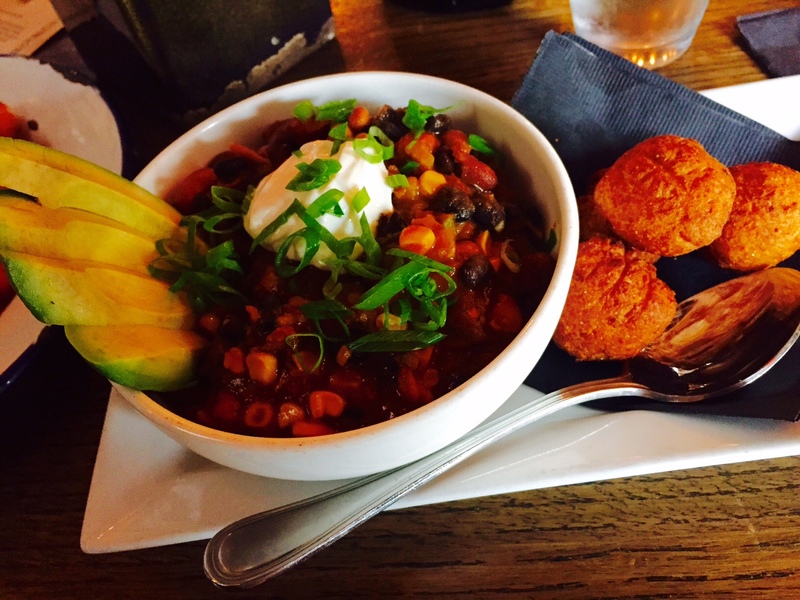 The vegetarian chili at The Tripel. Love those cornballs! This week I participated in a study at Loyola Marymount for a friend of a RunMDR member. 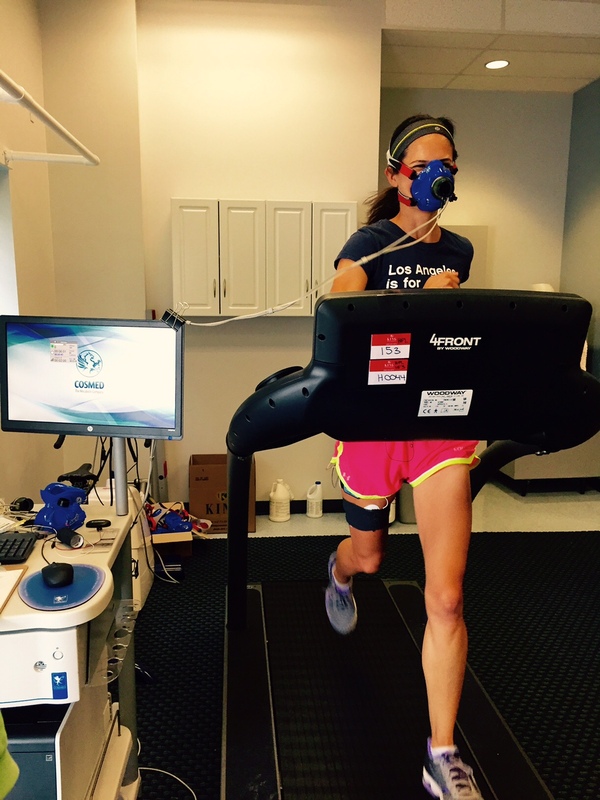 Part of the test involved a VO2Max test. I learned that I don’t push myself hard enough when I’m racing. Surprise surprise. My current VO2Max is 55. I’d be curious to see if it changes after New York training. Running with this mask thing was really hard. I felt claustrophobic and felt panicky at one point and just wanted to get it off, but I survived the test. 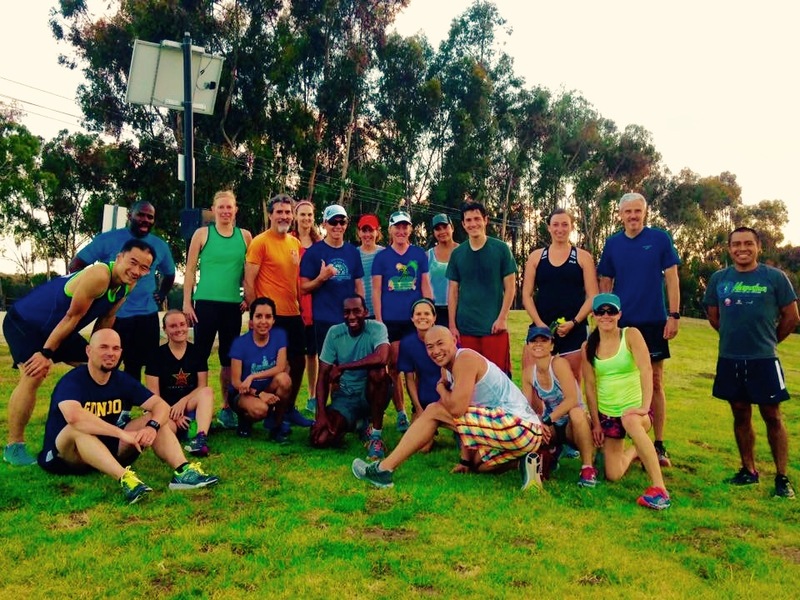 Running hills at Kenneth Hahn park with RunMDR on Tuesday night. Brent came to RunMDR for the first time! 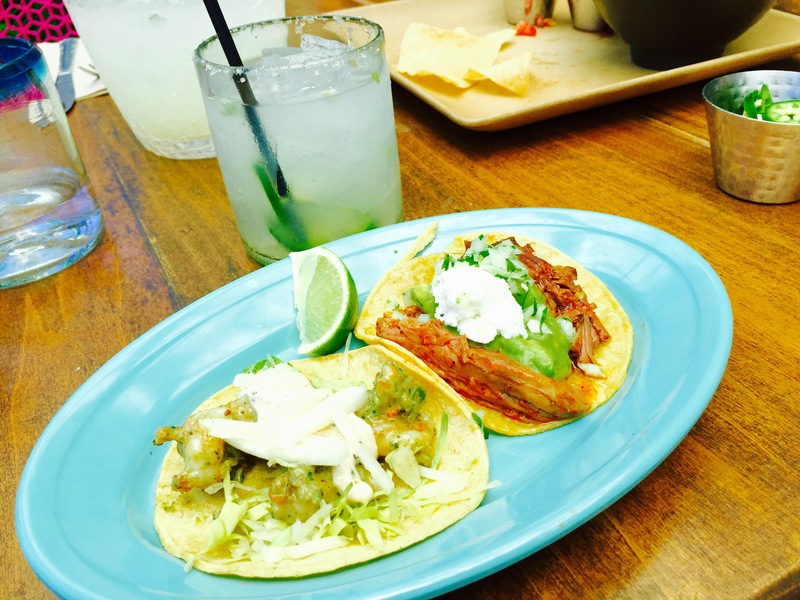 Cecilia, Marta and I got margs and tacos at Blue Plate Taco on Ocean Blvd in Santa Monica on Friday. Tasty and great ocean front location. 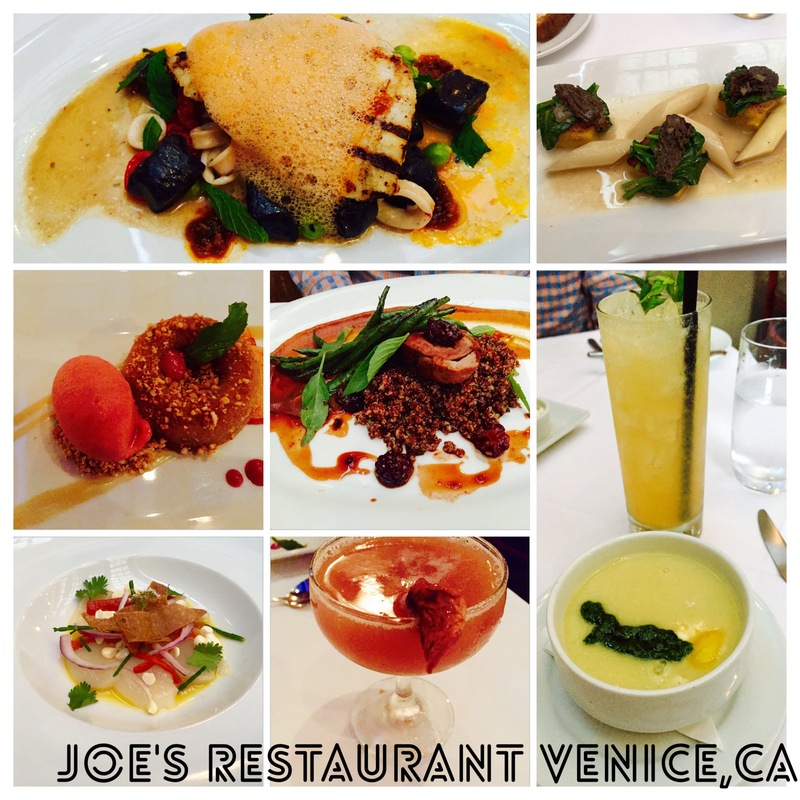 Brent planned a date night and surprised me with dinner at Joe’s Restaurant on Abbot Kinney in Venice. I went with the four course pre-fixe and cocktail pairing. Sea bass with black gnocchi and lobster foam, white asparagus with polenta cakes, wilted spinach and morels, creamy corn soup. Not a bad Saturday night! Reason 1000 why Brent is awesome. Came across this video while organizing my phone yesterday. Alaina took it at mile 24 at Boston. Click on the picture. 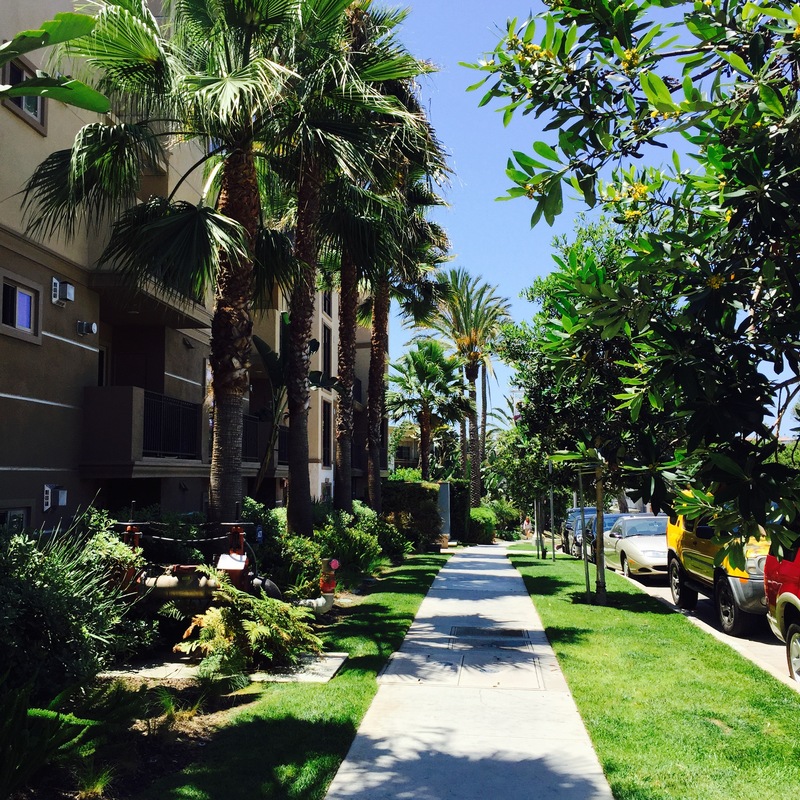 My lovely Playa del Rey. It’s so beautiful here. Taken on my walk down to the beach on Saturday to hang out with Ashley. Tuesday: Six Mile Run with Ellen in the morning and 8 hills with RunMDR in the evening. Skipped the warm-up because I’d run in the morning. 2 a days = too much laundry, but I HAD to see Ellen after she got back from her trip. I’m off to the beach again. We’re having a Back On My Feet beach day social. And tomorrow, OFFICIAL NY training begins. This entry was posted in Training and tagged blue plate taco, garmin, joes restaurant, lululemon run club, new york marathon. Bookmark the permalink.